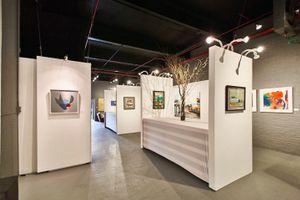 This sophisticated yet industrial gallery space is located in the high-end area of Hoboken. It is ideal for Exhibitions, Press and Evening Events. 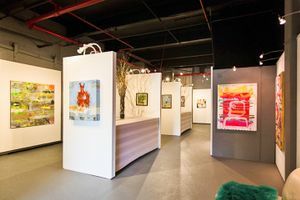 The atmosphere is artistic with gray painted brick walls and a concrete floor. 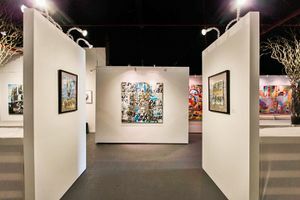 There is a wide range of display furniture with partial walls that are perfect for art exhibitions. 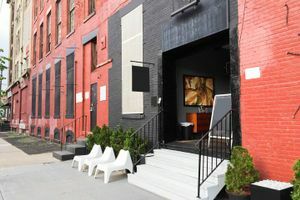 The frontage is smart with pristine white steps and tasteful coloring, there are also large window which are great for window displays and also bring a rich natural light into the space. Facilities include lighting, Wi-fi and bathrooms. Situated in an area popular with restaurants and creative retailers, this location is a perfect spot for innovative and creative brands looking to make an impact.